Detailed information and reviews of Maryland firms offering legal and financial services, accountants, insurance companies, mortgage companies and law firms. Post your requirements and receive no obligation price estimates and quotes. Getting from Under - I need to reestablish credit and pay bills. Personal Loan - I am trying to pay some of my credit off. I am looking for a 5,000 dollar loan. 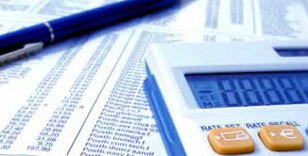 External Financial Audit - External Financial Audit. I need to know how much it cost and who can do one for me for 2008 and 2009.